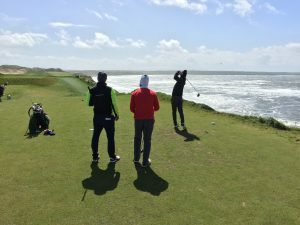 tomkennedygolf | Golf Consultancy, Events & Golf Blog! Experience Ireland Golf & Travel is delighted to return to Killarney Golf & Fishing Club for its 2nd Annual Invitational Tournament on Monday 29th October 2018! Nearly 80 golfers, from all over the Irish Tourism Industry and further afield, took part in our Inaugural Tournament on Friday 3rd November 2017, in glorious sunshine beside the beautiful lakes of Killarney and we’re hoping for similar numbers and definitely similar weather! James (The Caddy Guy) letting rip on the 3rd at the Killeen Course in 2017. If you would like to enter a team please EMAIL US. We look forward to hearing back from you soon and hopefully seeing you in October for our Invitational Tournament! 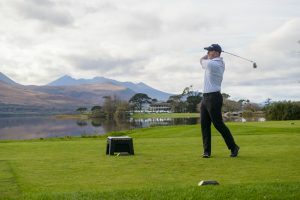 We look forward to making our Invitational Tournament an Annual Event on the calendar and a wonderful way to wind down at the end of the golf season in beautiful surroundings in Killarney. 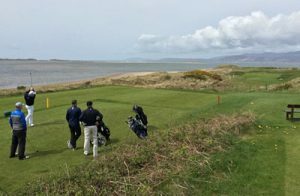 Following their successful Inaugural Tournament in July 2018, Social Media Open North will return to Donegal in July 2019 with Narin & Portnoo, Donegal Golf Club and Portsalon GC once again providing the venues and a considerable golfing test for 3 days from Tuesday 16th to Thursday 18th July 2019 (Open Championship Week)! Narin & Portnoo is a gem of a links course with amazing views surrounding the golf course from all angles. The County Donegal course will be the venue for Day 1 of #SMOpenNorth on Tuesday 16th July 2019. 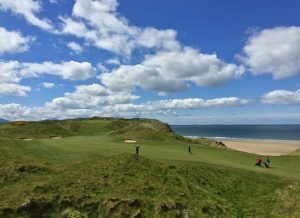 The course is situated in a beautiful seaside resort in southwest Donegal and is considered one of the finest natural and scenic 18-hole links courses in Ireland, with sweeping views of Gweebarra Bay. Extensive course work will be undertaken from October 2018 to April 2019, the design work done by Gil Hanse so expect an even more awesome course when the season begins in mid 2019!! A warm and friendly welcome awaits you from the Narin & Portnoo Team and we are very much looking forward to beginning our Inaugural Tournament at Narin & Portnoo next July! Day 2 will be hosted at the delightful Donegal Golf Club, or “Murvagh” as it better know by the locals! We will be here on Wednesday 17th July 2019 for #SMOpenNorth “Moving Day”! The course was built on a promontory of 182 acres that extends out into the Atlantic Ocean. The land was inhabited in past centuries due to the land being of geological significance. The course is a par-73 for both ladies & gents and consists of five Par 5’s, four Par 3’s and nine Par 4’s, stretching over 7400 yards from the tips, with five regulation tees from each hole, plus a beginner tee. The outside loop plays along the dunes and the ocean, providing stunning views of the surrounding area. 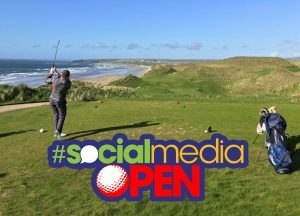 The Final Day of The Inaugural Social Media Open North will take place at the picturesque Portsalon Golf Club on Thursday 18th July 2019! 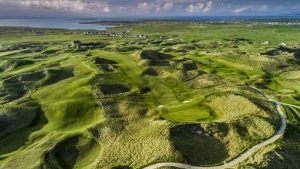 As the contenders for The Open Championship will be trying to starting their opening rounds at Royal Portrush the teams at #SMOpenNorth will also be trying to claim the trophy on this beautiful links course in County Donegal! Portsalon Golf Club was founded by Colonel B.J Barton in 1891. The course was designed by Charles Thompson, the Portrush professional. The links quickly earned a reputation as one of the best around and attracted visitors from near and far. In 2000 a major redesign of the links was undertaken under the guidance of renowned architect, Pat Ruddy. He was tasked with upgrading the links to keep pace with the modern game which results in the course being lengthened considerably while 9 completely new holes were added. 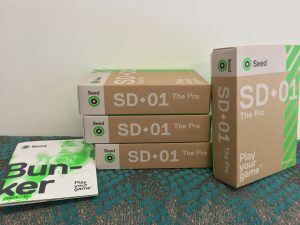 It will provide a fitting finalé for Social Media Open North! The Format will be Pairs so Team of 2, both golfers will hit off each tee then picking the best tee shot and playing Better Ball from there! 2 scores are to count on holes 9 & 18 with 1 score to count on holes 1-8 & 10-17, 3/4 Handicaps will Apply. If you would like to enter #SMOpenNorth please call +353-87-6453537 or email Tom Kennedy. We hope to see you in Donegal in July 2019! Following on from a successful Inaugural Tournament, the Parkland Challenge returns to its 2018 venues in 2019 with Woodbrook Golf Club, Powerscourt East & West courses providing 3 fantastic tests of golf over 3 days – Friday 14th to Sunday 16th June 2019 (US Open week)! We received some great feedback on the Event Format and also the Venues and it is great to get some golf in on 3 of the finest parkland courses in the country. 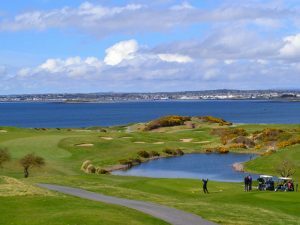 Day 1 will take us to Woodbrook Golf Club in County Wicklow on Friday 14th June 2019. Although a flat course, the wind plays a most significant role at Woodbrook. When it blows from the North, 9 holes are affected, including 3 out of the last 4 which will make it a great closing stretch of holes for the Opening Round. When it’s from the South, the 10th plus the par three 11th, and the par five – 12th, 14th and 16th, all become very difficult long holes. A crosswind from the East affects almost every hole on the course and calls for shot making of the highest calibre. With its configuration of five par threes and five par fives, Woodbrook’s layout is unusual but, in the opinion of those who have played there, it is a championship course in every meaning of the word. We are very much looking forward to having Woodbrook host the Opening Round of #ParklandChallenge in June next year. 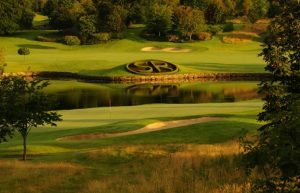 Round 2 of #ParklandChallenge 2019 takes us to Powerscourt’s East course on Saturday 15th June 2019. “The East” was designed by successful Walker Cup Captain Peter McEvoy and it is enjoyed by members, corporate clients, societies, visitors and guests alike. 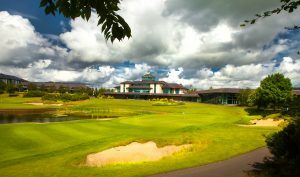 It has hosted the 1998 Irish PGA which three time major winner Padraig Harrington won in a playoff. The East course also hosted the 2001 Irish Seniors Open. The course is maintained phenomenally and has some of the best greens in Ireland. The Final Round of the #ParklandChallenge 2019 will be hosted at Powerscourt’s West course on Sunday 16th June 2019. 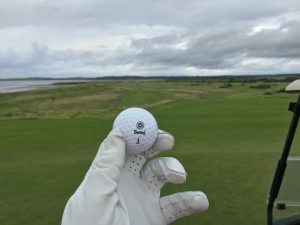 “The West” was designed by David McLayy Kidd (of Bandon Dunes fame!) and his experience and detail for creating a challenging, rewarding and highly enjoyable golf course comes to the fore here at Powerscourt. The beautiful scenery and the greens from the West course can be heard talked about in the clubhouse all evening long from golfers who want a second chance at it. At the end of 54 holes The Inaugural Champions will have well and truly earned their triumph! The Format for our Inaugural Tournament will be Pairs so Team of 2. Both scores are to count on 9 & 18 while 1 score is to count on holes 1-8 & 10-17, 3/4 Handicaps Apply with Stableford scoring. Our Tournament Packages are as follows with accommodation available at the marvellous Martello Hotel in Bray which is just 10 minutes from Woodbrook GC and 15 minutes from Powerscourt GC! 2017 Champs – Alan & Liam! We will also be arranging some social “meet-ups” each Evening, stay tuned for details of these! If you would like to enter a Team please call +353-87-6453537 or email Tom Kennedy at Experience Ireland Golf & Travel. We look forward to seeing you in June for #ParklandChallenge 2019! As part of their campaign to help you get Ready for the Real World, Liberty Insurance have shared a list of some fun Irish events taking place. Here is their guide to some of the best things happening across Ireland this July with a couple of our suggestions throw in too (Social Media Open North & Run Killarney)! And remember Liberty Insurance know that in the real world, your life needs flexibility. That’s why they help their customers to adjust their Car Insurance policy so they can drive a van, add an additional driver and more. So no matter what event you’re getting ready for, Liberty Insurance will be there.